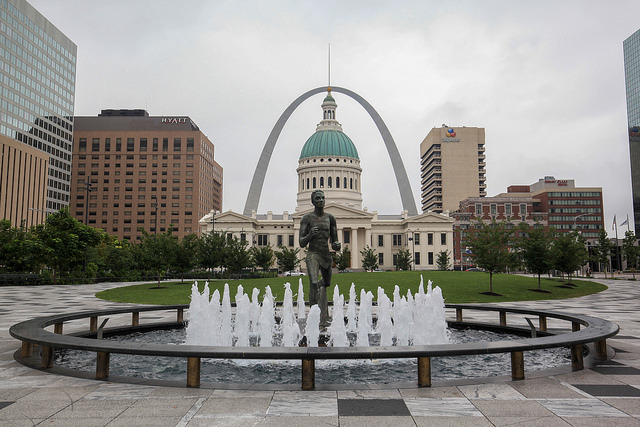 St. Louis, the second largest city in Missouri, is situated along the west banks of the Mississippi River in the United States. The Mississippi River divides the state of Missouri from Illinois. 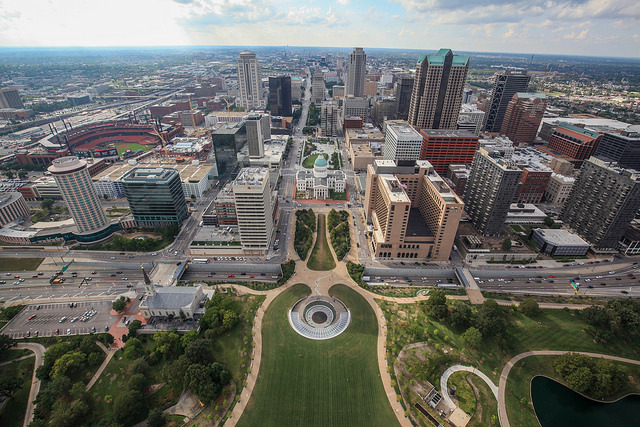 The St. Louis metropolitan area is comprised of a large area of Illinois east of the Mississippi. Confusingly, the city of East St. Louis, is located in Illinois. 1: The famous landmark, the St. Louis Gateway Arch. 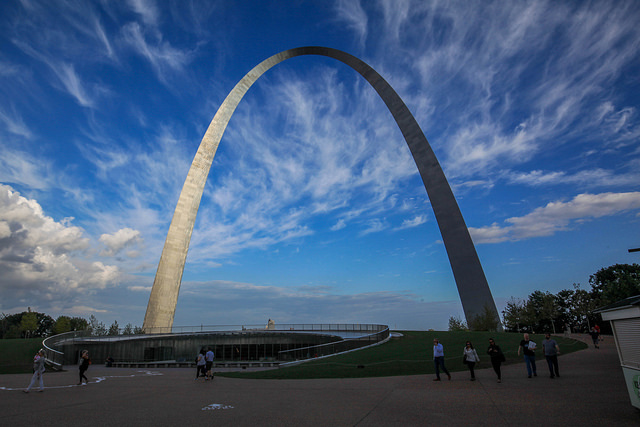 It was designed in 1947 by Finnish architect Eero Saarinen, and opened to the public 20 years later. 2: If you take a cramped little elevator designed in the 1960s, you can be rewarded with a great view of the city. 3: Kiener Memorial Fountain and Running Man Statue with the Old Courthouse, and Arch in the background. Kiener was a runner for the US Olympic team when the Olympics and World’s Fair were held in St. Lous in 1904. 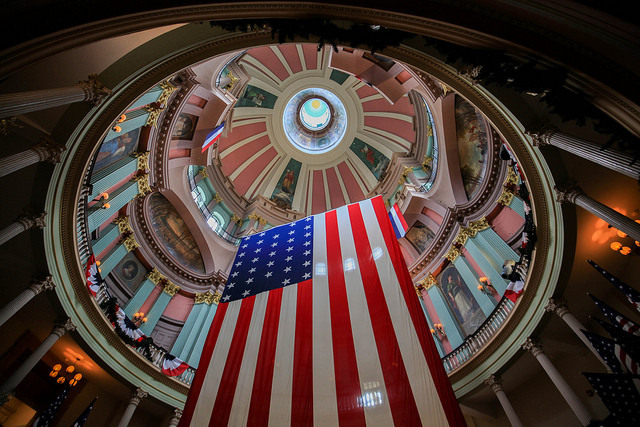 4: The interior of the dome at the Old Courthouse, with the American Flag displayed prominently. The Old Courthouse is the location of the famed Dred Scott civil rights case in 1847. 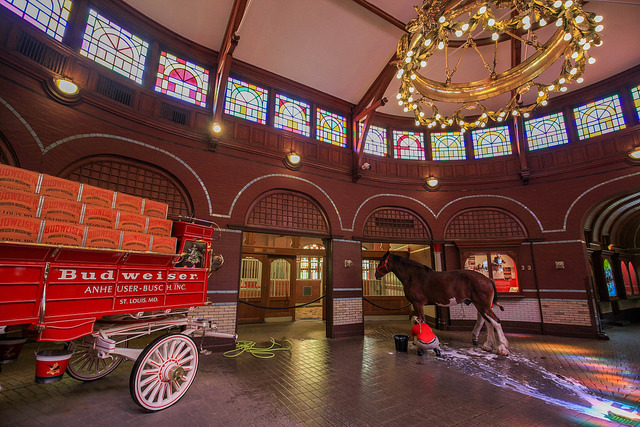 5: The clydesdale stables at the Anheuser-Busch Brewery. The stables were built in 1885. 6: The interior of the stables where a resident clydesdale gets a bath. Originating from Scotland, Clydesdales are massive, beautiful horses, and are considered a rare breed. 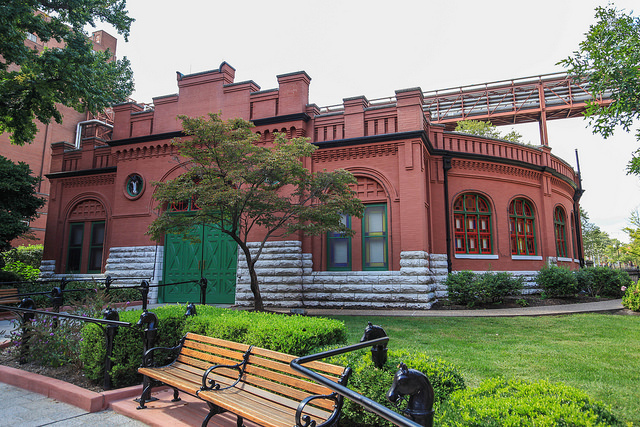 7: The Missouri Botanical Garden was founded in 1859. 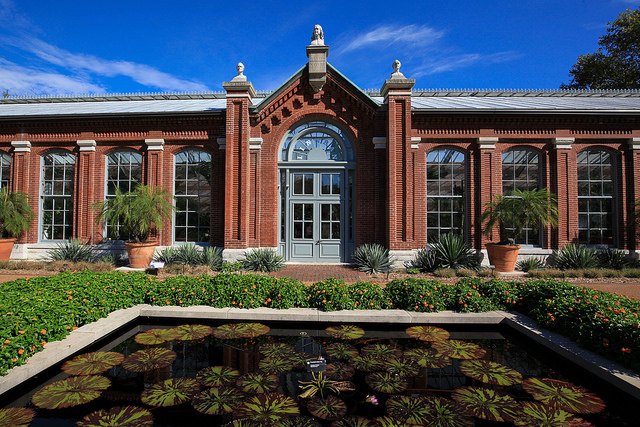 It is one of the oldest botanical gardens in the country, and is a designated historic landmark. It was founded by Henry Shaw, a wealthy businessman. Beyond the pool in the photo, is the Climatron, a greenhouse dome built in 1960 used to simulate a rainforest. 8: The Linnean House was built in 1882. 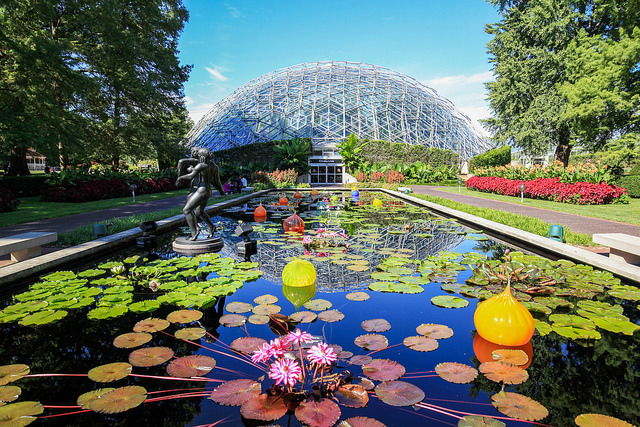 It is the oldest greenhouse west of the Mississippi River. It was named for Carl Linnaeus, who is considered the “father of taxonomy”. 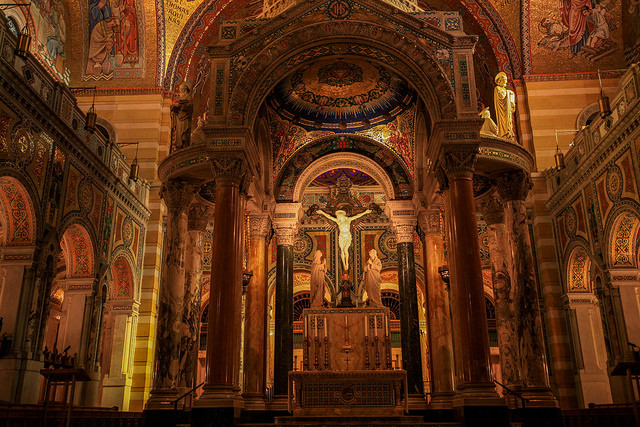 9-10: If you visit the St. Louis Cathedral, you will think you were beamed into Europe. 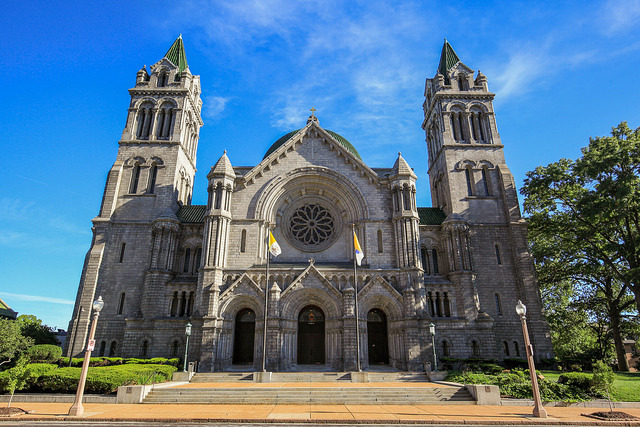 The Romanesque/Neo-Byzantine Basilica was completed in 1914. The interior has exquisite mosaic work.